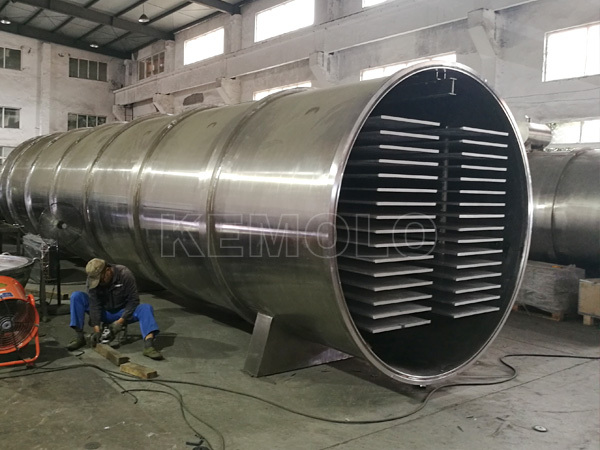 Located in Hangzhou, China, Kemolo Co., Limited is one of the few companies that can independently design, research and manufacture large scaled freeze dryers. 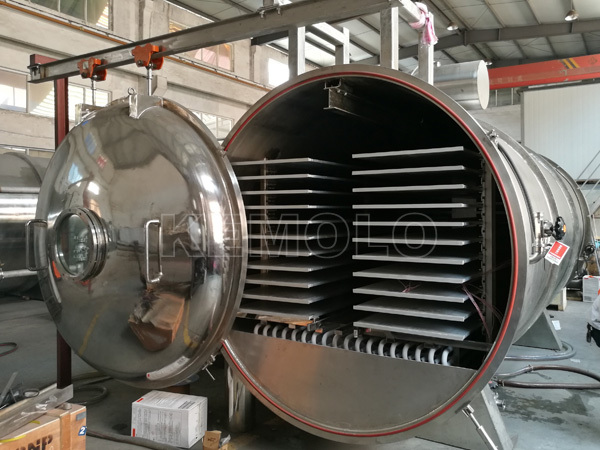 Since 2005, by continually try and improve, Kemolo is committed to producing a more reliable freeze dryer with characteristics of more energy efficient, more environmentally friendly, more convenient to operate. 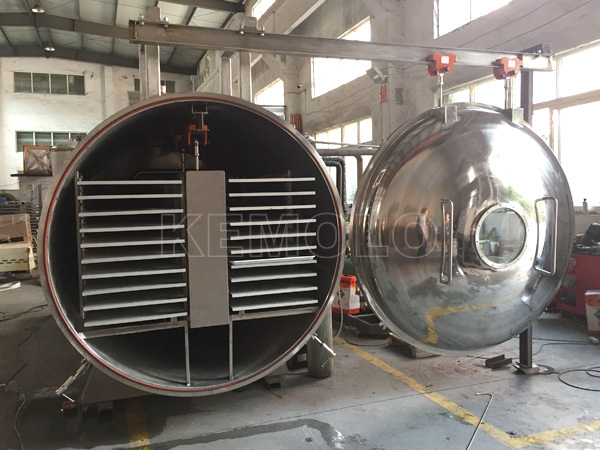 Freeze dryer is an integral system composed of dozens of components and chamber. All components, no matter how small it is, are required to be perfect, just because small issue on component would cause a big problem on the whole system. Therefore, only those enterprises who have ever gained good reputation from their users shall be qualified to supply us spares. 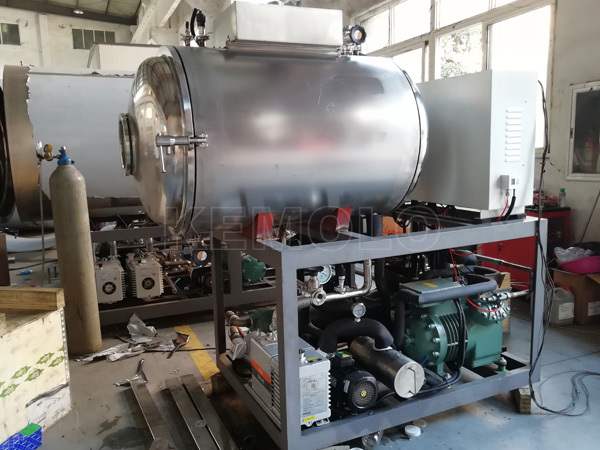 The chambers, shelves and vapor condenser made by ourselves, will be given a long time high pressure test to make sure it can work every day in 20 years without problem. Energy saving compressors and pumps get the priority to be supplied to our system. Aluminum alloy cooling and heating shelves with radiant design, the heat transfer efficiency will be 10 times higher than stainless steel. 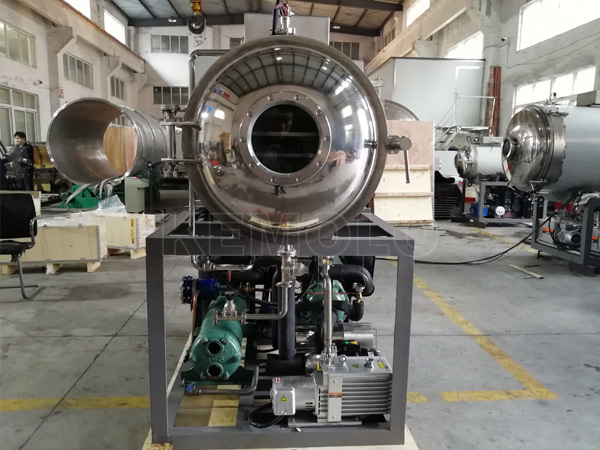 The size of chamber gets reduced by good use of space, thus the cost of shipping and installation area would be reduced accordingly and the input power of vacuum would be reduced too. The heat from compressor could be reclaimed for defrost as an option. It will save approx. 30% energy cost. All new technology would be tested for over 5 years, till it is 100% mature. We would never take our customer as a sample for laboratory. Our system uses less power, thus will reduce the quantity of gas emissions. Freon R22 would destroy the Ozone Sphere. It is completely replaced by environment friendly refrigerant R404A/R507 in our system. 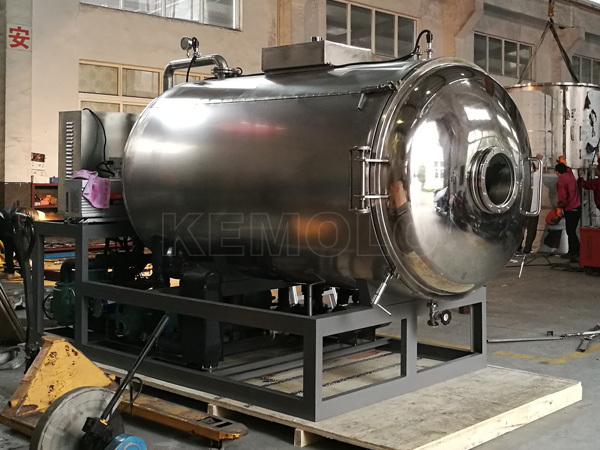 Kemolo manufactures good quality equipment only, refusing fake and poor quality components, no used components, no jerry-build, aiming at producing the highest quality freeze dried products efficiently with our reliable equipment. Temperature, pressure, amp automatically monitored, controlled and recorded. When you freeze dry different products, you just need to select the item you have setted in the system. There is Chinese, English and Spanish language for option on the touch screen. The system will start to run automatically according to your pointed curve. So, the quality of finished products of each batch of production would be the same. For new hands, it is easy to understand and easy to operate. 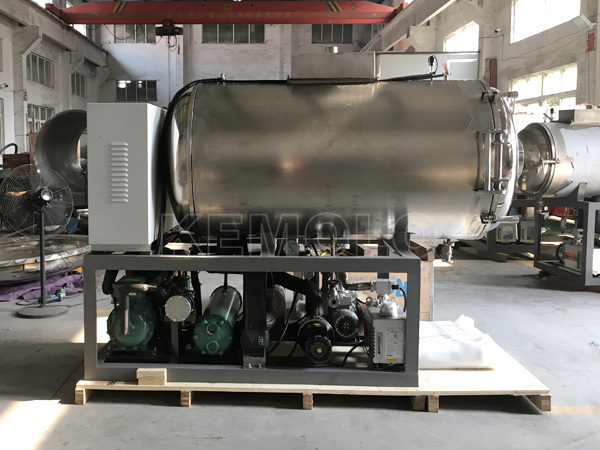 The users just simply need to get the raw material cleaned, peeled, sliced and loaded into product trays, then place the raw material into the machine. Start the machine on touch screen (HMI) after the door closed, the machine will keep running till the product is dried. Vent air into chamber; open the door to get the dried product out for packing. 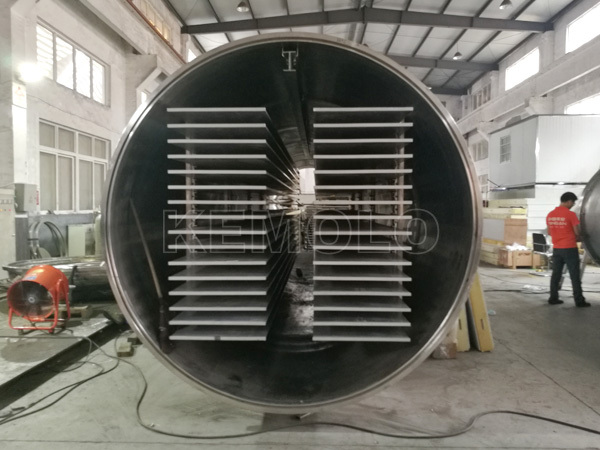 And finally get the vapor condenser defrosted for next batch of production. 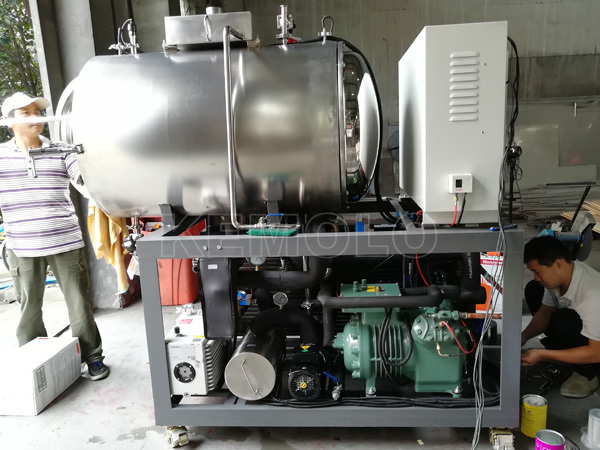 Our freeze dryers are adapted to local power supply 110-240V, single phase, 220-480V, 3 phases, 50/60Hz for your option. 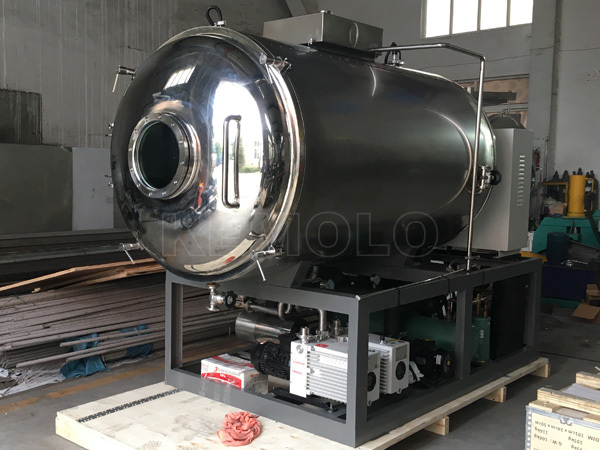 The middle and small freeze dryer is designed to fit the container loading size to reduce the cost of shipping. All components and chamber is mounted on the same frame for small freeze dryer. The installation time is only 2-3 days. 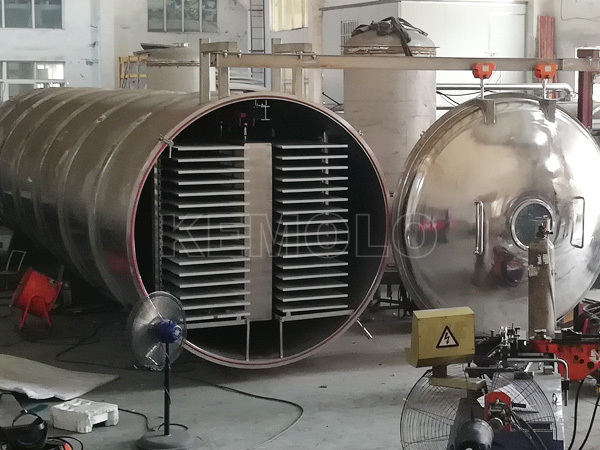 And the middle freeze dryer is module designed; it will be assembled in user’s site in a week. 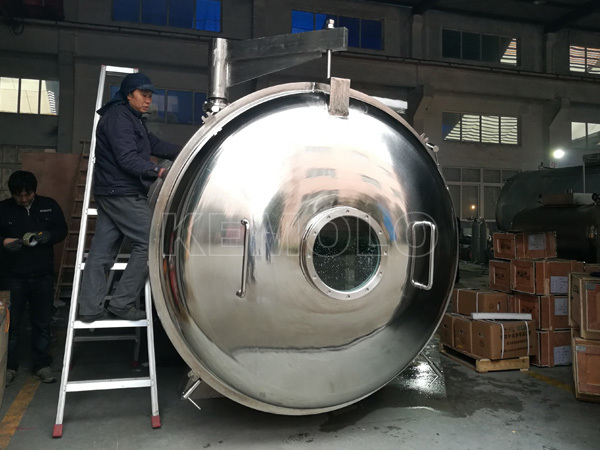 We have rich oversea installation experience and provide quality certificates, pressure vessel certificates, certificate of origin, certificate of fumigation where required. With our equipment, you will get a two-year quality warranty and life time technical support. For more information, please contact us. We will reply you as soon as possible!